Sky Italy are reporting that Manchester United rejected a Barcelona offer of £45m plus Yerry Mina and Andre Gomes for Paul Pogba. Manchester United have said that their French midfielder is not for sale but a strong bid from Barcelona might tempt the French midfielder. The Daily Mail are also reporting that Pogba's agent Mino Raiola wants his client out of Old Trafford and he has been talking to Barcelona representatives about a possible deal. Raiola is said to want a pay rise of 500,000 pounds per week for Pogba as he feels the French star should be on the same pay grade as Alexis Sanchez who is the current highest paid player in the United squad earing the same amount. This is not the first time Mino Raiola is pulling this stunt, Pep Guardiola confirmed last season that Pogba was offered to Manchester City last January. Jose Mourinho is not helping matters also, the former Real Madrid coach made some negative comments following Pogba's success with France at the World Cup. Rather than praising Pogba's performance, Jose Mourinho said he should understand why he was successful at the World Cup suggesting that he lacked the same focus while playing for Manchester United. 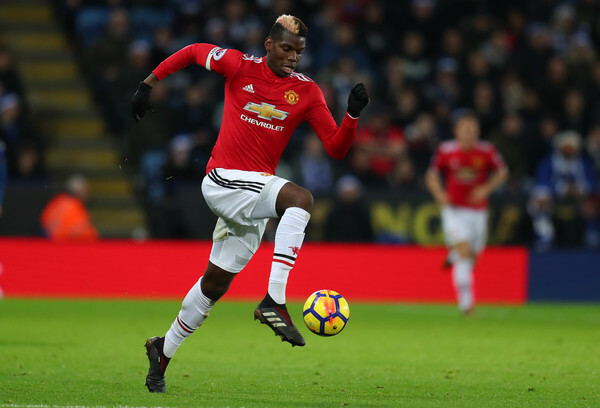 Understandably, Mourinho is concerned by all the distractions that come with Pogba's increased media attention and popularity which seems to affect his performances on the pitch. ‘I don’t think it’s about us getting the best out of him, it’s about him giving the best he has to give,’ said Mourinho last month. ‘I think the World Cup is the perfect habitat for a player like him to give the best. Why? Because it’s closed for a month, where he can only think about football. Raiola has reportedly spoken to Barcelona which was confirmed by sources close to the Old Trafford side but Manchester United are not willing to sell their star player. The problem for United at the moment is that the English transfer window closes on Thursday which means they have to make a decision if they need to sign a potential replacement for Pogba as Barcelona have till the end of August to tempt Mino Raiola and his client.